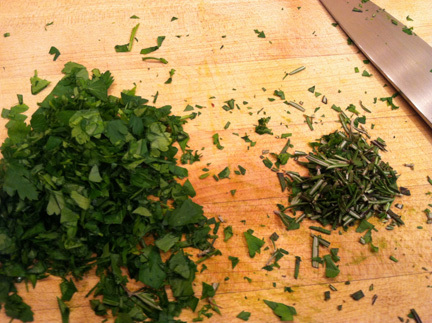 A cold afternoon can only get better with the amazing aroma of mushrooms and fresh herbs! I was having some friends over the other day and we always enjoy hummus as one of our snacks so had to do something different. 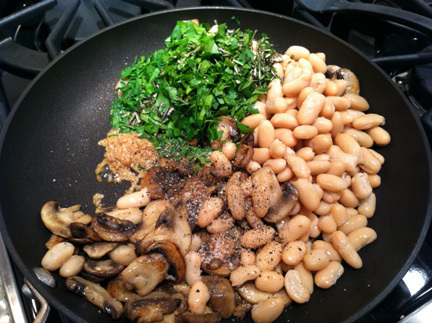 I came across a new recipe that has one of their favorite foods in it — mushrooms — and then it has the beans of hummus, too. Perfect! So I whipped up a Mushroom & White Bean Crostini. I made a few changes to the original recipe based on what I had on hand and lactose intolerance. I put the slices of baguette under the broiler — translation nice and quick vs. extended toasting. Next, per the recipe, heat a saucepan over medium heat. Add olive oil, <butter> and mushrooms. 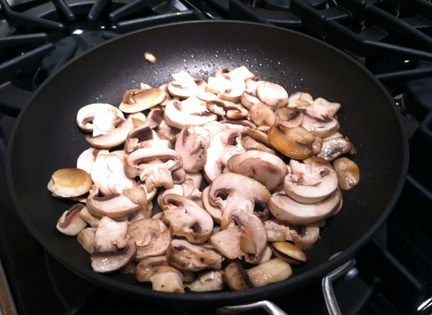 Sauté for 5-10 minutes or until mushrooms release their moisture and begin to shrink. Continue cooking until most of the liquid has evaporated. The kitchen started smelling so good! 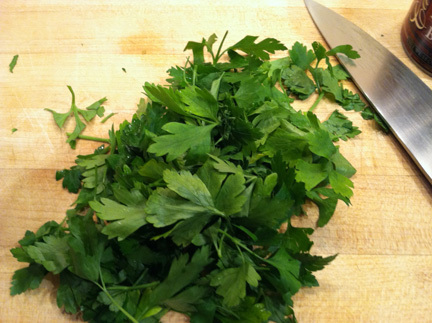 Then, get those herbs ready! Now, aroma overload. This is one of the reasons we cook!!!! Next, add minced garlic, salt, herbs and beans. Stir and cook over medium heat until mixture is heated through. I served this in a bowl and let guests dish it onto bread on their own or just put it on their plate and eat it with a fork. 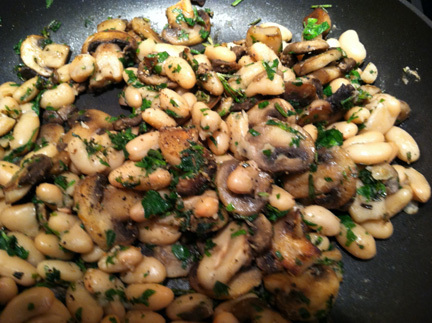 Otherwise the recipe mentions…To assemble each piece of Crostini, place a spoonful of mushroom bean mixture on top of a slice of toasted bread. Top with shredded baby swiss cheese. This was so, so good. Would be great to serve at upcoming parties and can be easily transported if not served on bread if you want to take it somewhere. You can easily make it ahead of time and heat it up when you arrived at required location. 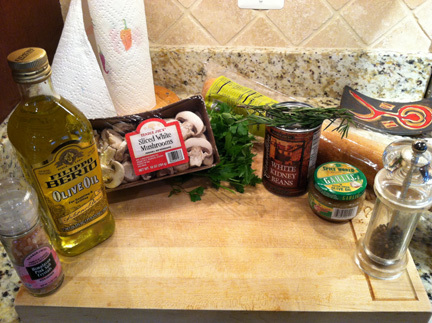 This entry was posted in cooking, lactose intolerant and tagged appetizer, baguette, beans, cannellini, crostini, herbs, lactose intolerant, mushroom. Bookmark the permalink. Nice timing – I have mushrooms I need to use up. It was delicious. I am so glad you posted the recipe.